SKPETRO (5218) have been retrace down 50.1%. Will it technical rebound? 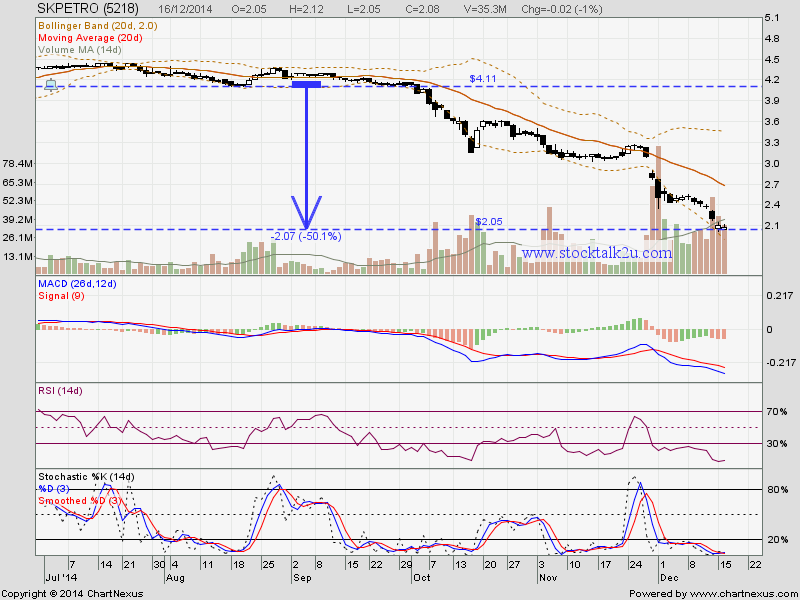 Or break the RM2.00 support? Stochastic %K on oversold stage. Immediate resistance @ RM2.40 level. Do monitor crude oil price.